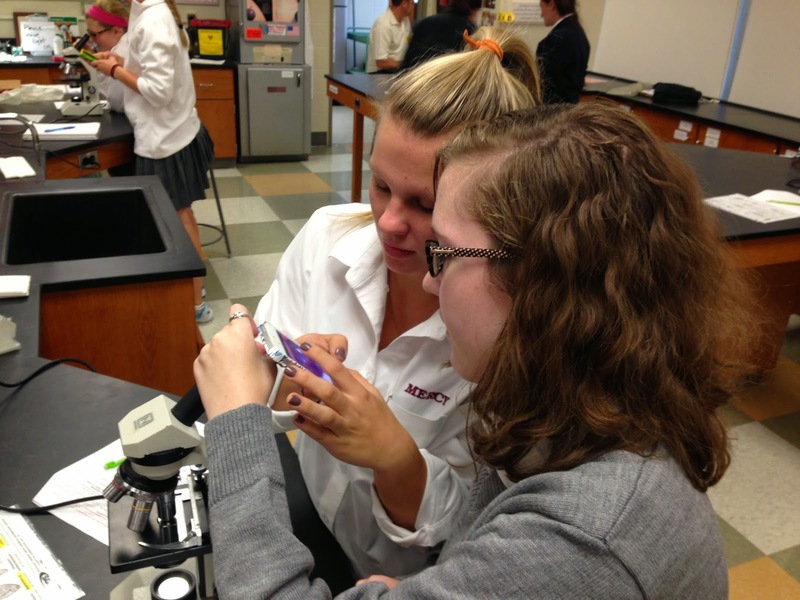 On Friday, MHS microbiology teacher Gerry Meloche contacted me to say that there was considerable excitement in his class. 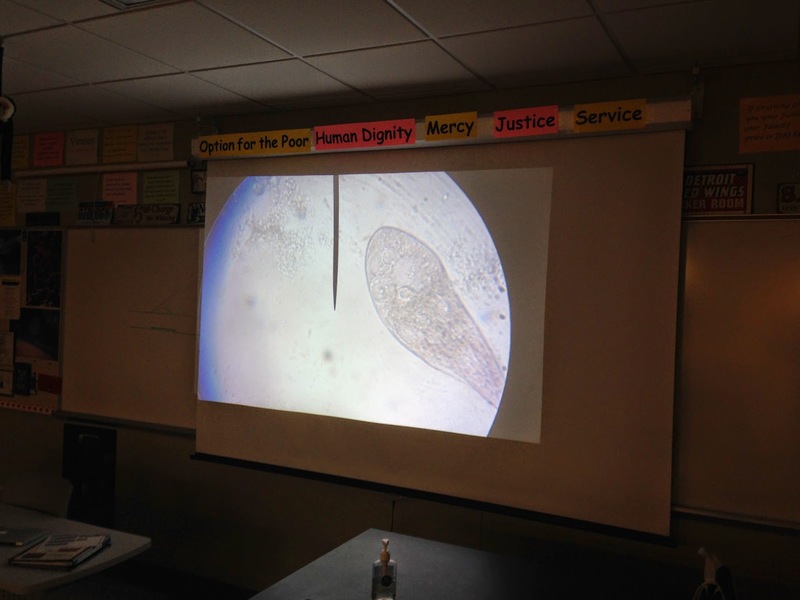 For a microscope exercise requiring students to identify paramecia, he had added a new dimension. 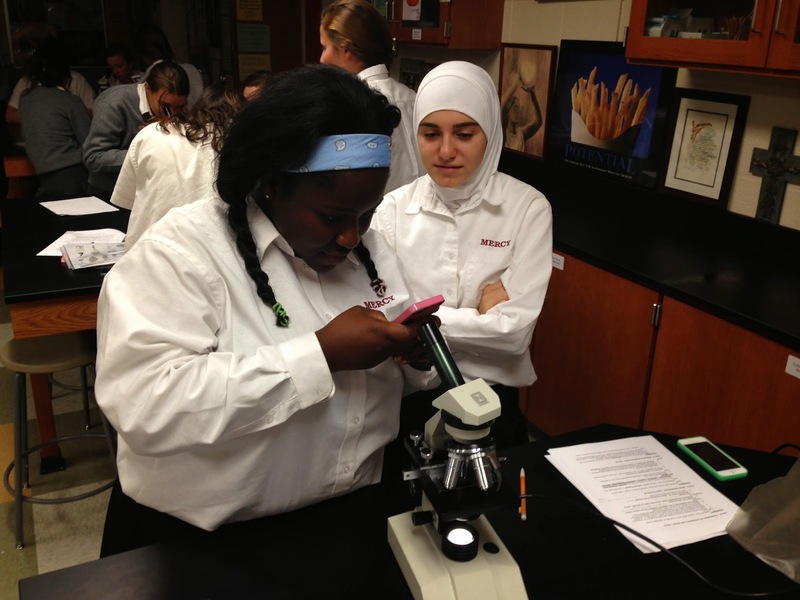 The students were using their iPhones to photograph and video record the microbes before they scooted out of view. 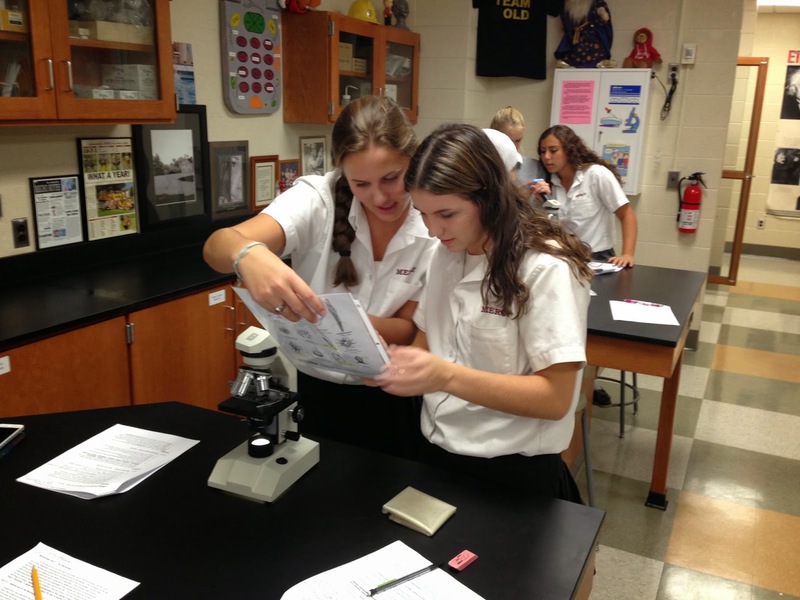 This helped with the identification, but it also generated great collaboration and enthusiasm. As the photos below indicate, the images the students were capturing could be mirrored on an Apple TV and projected to a screen. 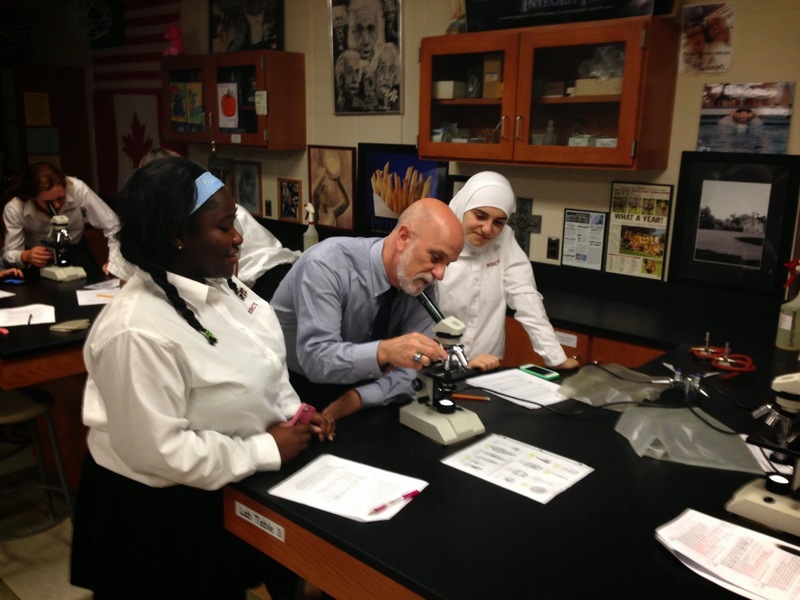 As I reported in a past blog post, Gerry also can show live images through a microscope using a device I was introduced to at the ADE Institute in 2013. 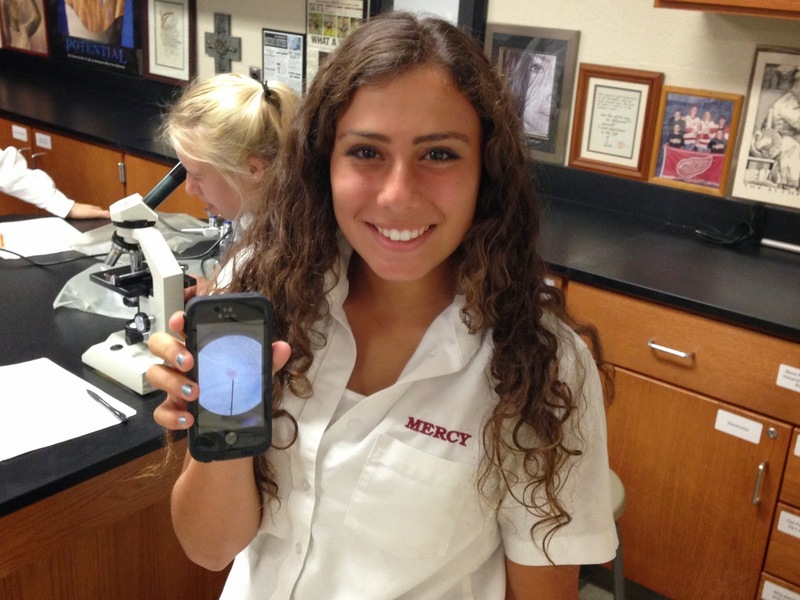 1 Response to Hunting down Paramecia with an iPhone! Great use of technology in the classroom!